The DOMO nSound B1 is a Water Bottle which doubles as a speaker as well. 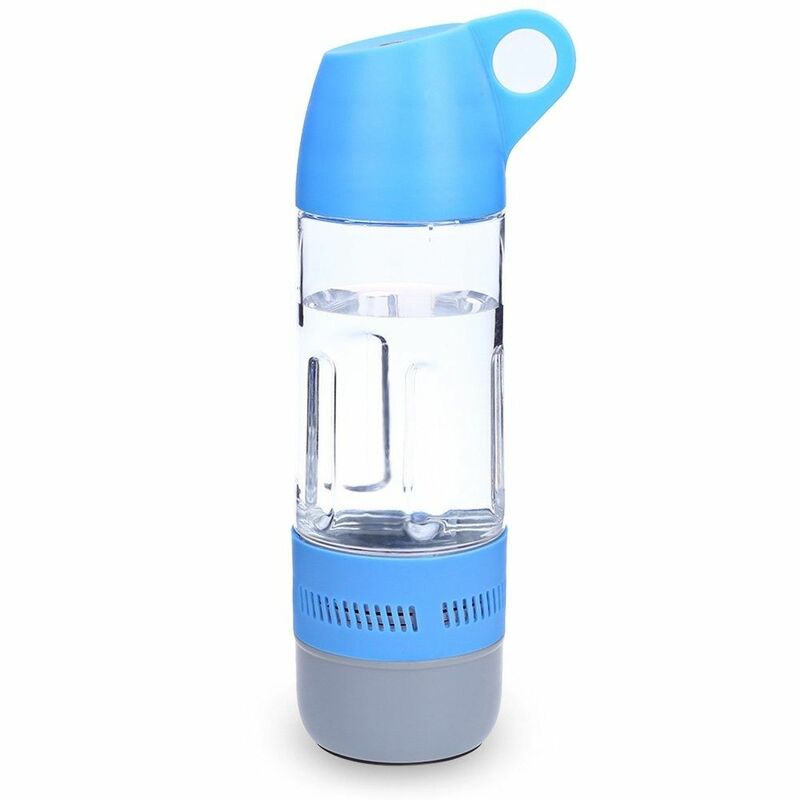 It is suitable for indoor and outdoor use and especially great while doing workouts, riding a bike, fishing, camping or just while going for a walk. Equipped with an innovative 360° sound output unit, the Wireless Speaker Bottle allows you to enjoy a rich audio experience no matter where you use it. With a built-in rechargeable battery, the nSound B1 lets you immerse yourself in your favorite tunes anywhere, literally anywhere. 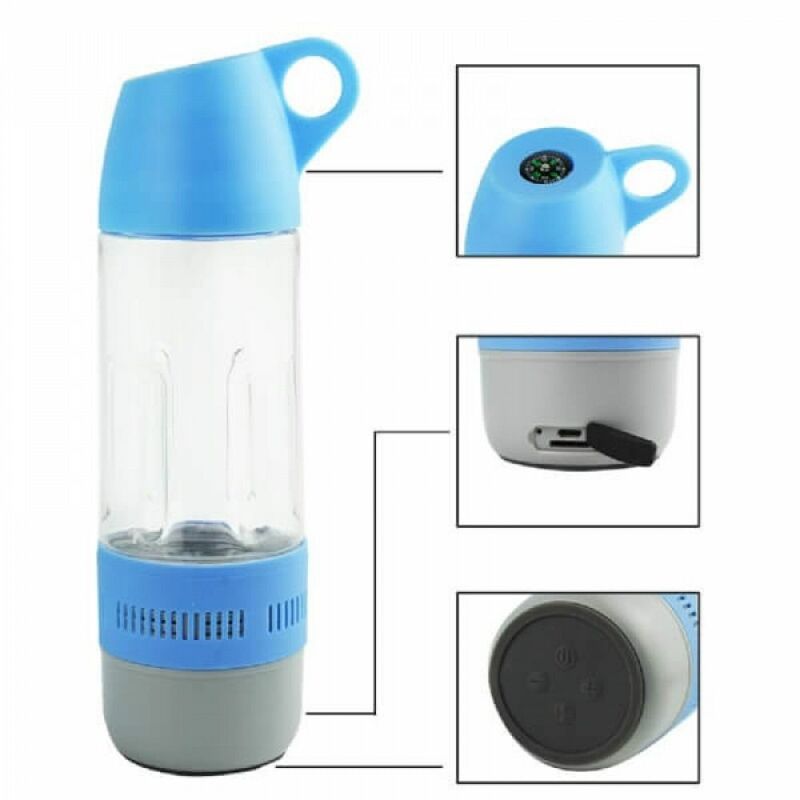 You can listen to music by connecting the Bottle with a Bluetooth enabled device or by connecting a MicroSD card to the bottle itself. The nSound B1 adopts non-toxic, tasteless and food grade materials in the making of this bottle speakers. 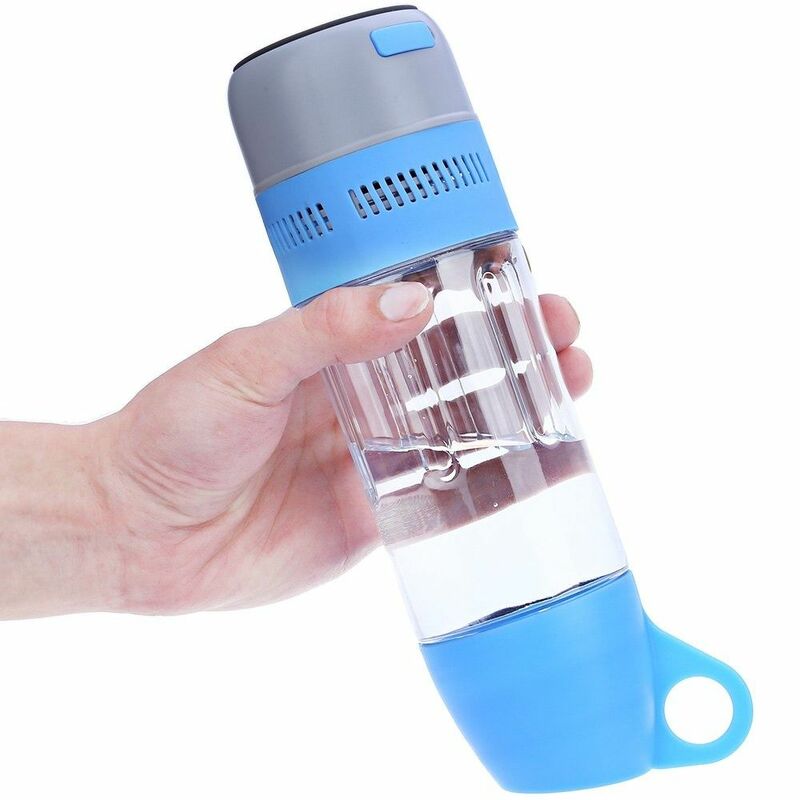 Its wear-resistant and IPX4 water-resistant design protects the bottle when water is splashed on it. It has a storage volume of 400ml and a floating compass on the bottles cap. The compass uses a primitive method and is of floating type which is not extremely precise but once it is on a level plain, it should let you navigate your way with ease. The bottles cap also doubles as a cup which is very useful if you need to pour your drink and share with anyone. Fit for Smartphones, Tablets, iPad, iPod, MP3, MP4, PSP and other audio devices with Bluetooth function.